I was at a church recently and noticed a poster advertising their alternative worship service with a slogan, Come as you are. I immediately began to wonder if that meant that the other service they offered was Come as someone you aren’t. Now I know that is not the intent, and that the Come as you are slogan tries to communicate a more relaxed, casual setting. But I couldn’t help but reflect on the fact that so often our churches and our worship services communicate pretty clearly the idea, Come as someone you aren’t. In church world, we often place the gospel on a shelf too high for the average person to reach, and we place all kinds of barriers to getting there. 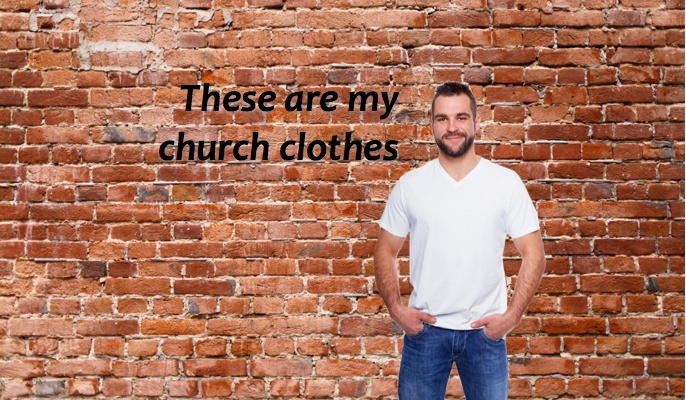 We often expect people to dress up for church (which has no theological basis) to be accepted. People have to look a certain way (certain race, lack of piercings & tattoos, proper attire, “respectable” haircut, etc. ), smell a certain way, talk a certain way, and act a certain way to be accepted. We often communicate that people need to clean up their lives before they can be a part of our fellowship. The early church had some of the same issues (Acts 15). Many believed that you had to be circumcised or you could not be saved. (v.1) If we place human-imposed obstacles in the way of people coming to Christ, we are working against God (v.10). Indeed, we should not make it difficult for unbelievers to turn to God (v.19). The church should be irresistible to the unbeliever—a place where they can find purpose and meaning in life through an encounter with God. Take a look at your church. Some of the obstacles we build are based on our church’s culture. Do we welcome all people with open arms and the love of Christ, or do we just love the people like us? How about our worship services? Are they accessible to the non-church crowd? Do we use language that is unique to church people without giving explanation? Do we use only archaic forms of music that sound foreign to their ear and understanding? There is an incredible hunger for God today. People are looking in all the wrong places. We have the answer for that void in their lives in Jesus Christ. Why can we not make the church irresistible to our communities? Hit the nail smack dab on the head!